Lee Perry, mainly working behind the scenes for Coxsone Dodd at Studio One, during the Ska Era (1959 - 1966). Scratch didn't get behind the microphone as much as he wanted, but when he did the results were usually solid. Studio One is one of reggae's most renowned record labels, having been described as the "Motown" of Jamaica. It was founded by Clement 'Coxsone' Dodd in 1954, along with a studio by the same name, which was located on Brentford Road in Kingston. Dodd had previously issued music on a series of other labels, including World-Disc, and ran Downbeat one of the three or four largest and most reputable sound systems in the Kingston ghettos. The label and studio were closed when Dodd relocated to New York City in the 1980s. It has produced records by (and had a large hand in shaping the careers of) such artists as Bob Marley and the Wailers, Lee "Scratch" Perry, Burning Spear, Toots & the Maytals, John Holt, Horace Andy, Ken Boothe, and Alton Ellis. Noted rival Prince Buster began his career working for Dodd's sound system, and noted producer Harry J recorded many of his best-known releases at Studio One. I want to talk to you about "Ain't Gonna Change My Mind" by Doreen Schaeffer, featured on this excellent Soul Jazz compilation. I first heard this in a version of soul and disco queen Loleatta Holloway (in fact the track was originally recorded by Tyrone Davis in 1968. ); in her version it's called "Can I Change My Mind". It is featured on the crappy sounding but nevertheless great comp Cry to Me: Golden Classics of the 70s, 14 tracks Loleatta Holloway cut for Georgia r&b and soul Aware Records [run by gangster Mike Thevis] between 1971 and 1975. It came out on the cheapo Collectables label in 1992. There is a very intimate connection between soul music and reggae. In the sixties and seventies of the 20th century, reggae producers and record shop owners made regular trips to the south and east of the United States. 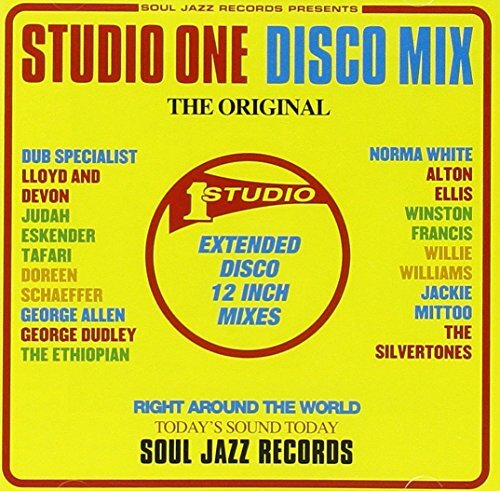 Two more compilation albums in a similar vein are Nice Up the Dance-Studio One Discomixes and Studio One Showcase, Vol. 1. And on the last one I mentioned is the same song again, the one I know by Loleatta Holloway and Doreen Schaeffer, now sung by Alton Ellie, and it's called "Can I Change My Mind".